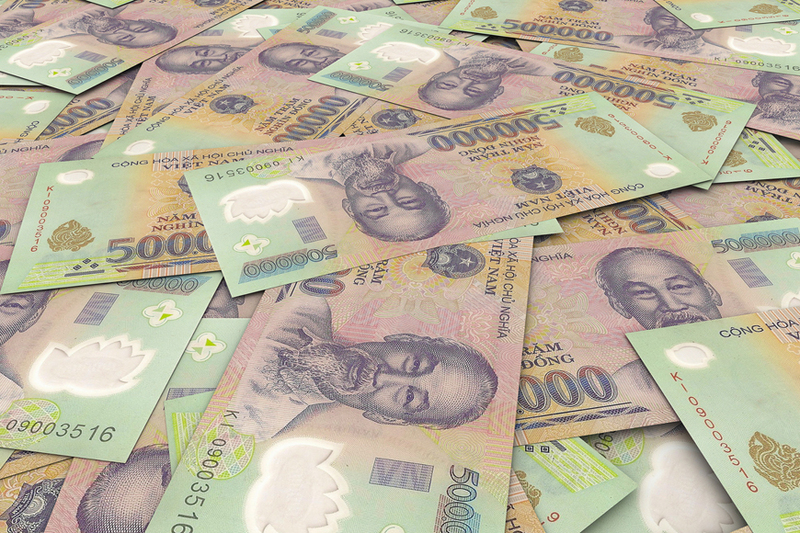 The currency used in Vietnam is called the Vietnamese Dong and is generally abbreviated to VND. The symbol for the dong is ₫. The dong is the only currency recognised in Vietnam. However, people are always desperate to get their hands on US dollars and there is a demand on the black market for dollars, so almost everyone is willing to exchange them for you - under the table of course. However, there are legitimate exchange facilities within the country in banks and in some shops. The currency consists of both coins and banknotes. The coins come in the common denominations of ₫200, ₫500, ₫1000, ₫2000, ₫5000. The frequently used banknotes are the ₫100, ₫200, ₫500, ₫1000, ₫2000, ₫5000, ₫10000, ₫20000, ₫500000.